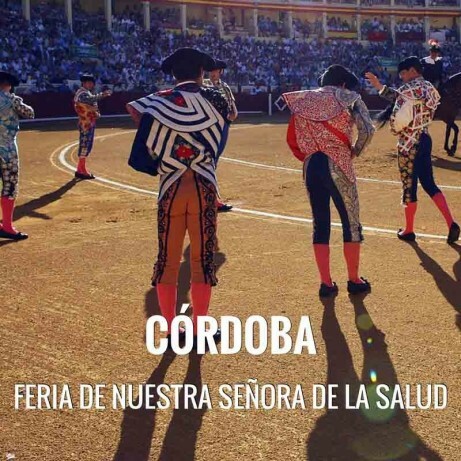 Bullfight tickets Cordoba 2019. Date to be confirmed. Fair in honor of Nuestra Señora de la Salud, full of Seville and wine to enjoying the cuisine and their dances without forgetting the Cordobes hat. Servitoro, Official Box office of bullfighting tickets sales at Córdoba, bullring. Nuestra Señora de la Salud Festivities in Córdoba. In honor of Nuestra Señora de la Salud is held in late May. The joy of Sevillanas, fine wine, the Cordovan hat, combs and caps; give color and flavor to the city is adorned in their best clothes. The magic hour party is 00:00 pm on May 24, nearly three hundred thousand light bulbs that light before the eyes of thousands of spectators concentrated there. The sky is dotted with colorful fireworks which indicate the start of the fair, after folk songs and flamenco music, parade of carriages, gypsy dresses or short with the elegance that characterize them the Cordovesas. 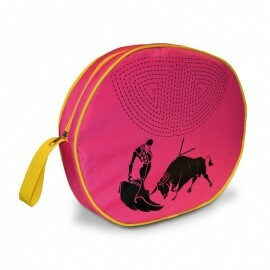 Servitoro displays a graphic and entertaining to understand the rites of the Bullfight form. Servitoro delivery service offers the User the opportunity to acquire the tickets in a safe and easy manner from his/her home address, avoiding long queues before ticket offices. Servitoro offers to non-residents the opportunity to deliver the tickets to hotels, hostels and similar (2-4 days before the show) during their stay in Spain and coinciding with the bullfight event (charges a fixed cost of 12€ per ticket VAT included). Inside of the Bullring you can make pics and record videos.